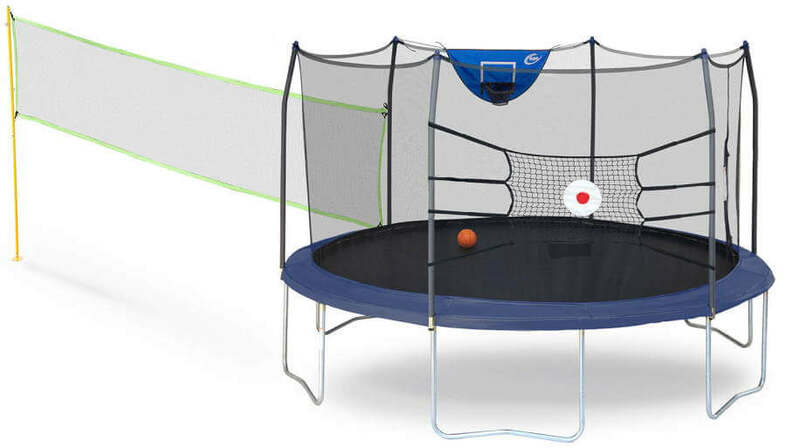 Skywalker Jump N’Dunk 8 ft. Trampoline Review – Skywalker Jump N’Dunk is the newest addition we have on our test. 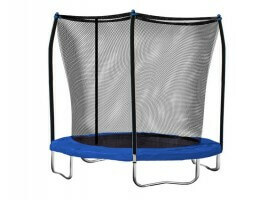 It comes with a safety enclosure and an innovative basketball hoop – a feature not seen on many trampolines these days. The size of eight feet seems to be perfect for your kids. It should keep them both fit and entertained for hours on end. 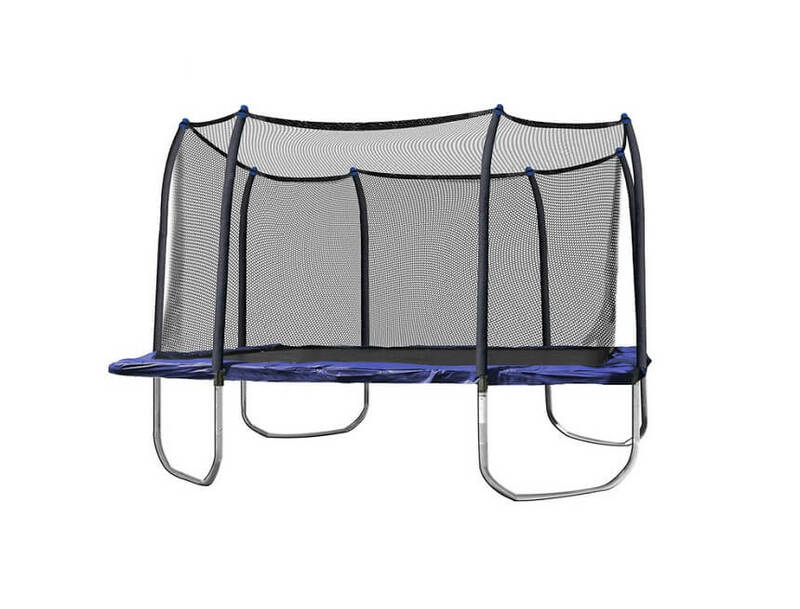 But how does the trampoline fare when it comes to security and quality? Well, there is only one way to find out – click for more…. 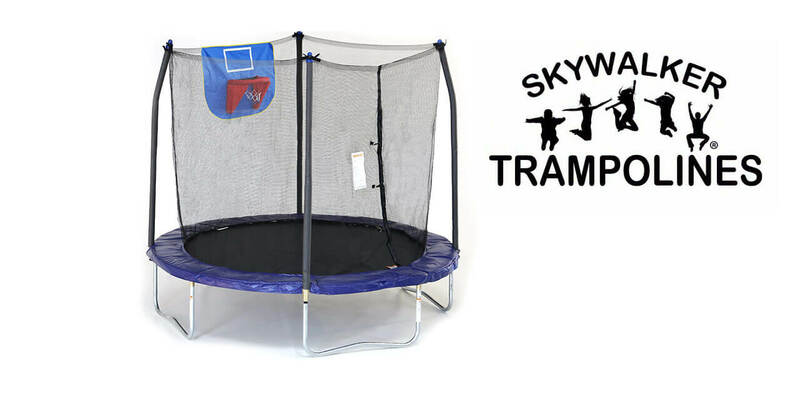 Made for children from 5 -10 years old, this 8 foot Skywalker trampoline will be great “welcome to the world of trampolines” model. 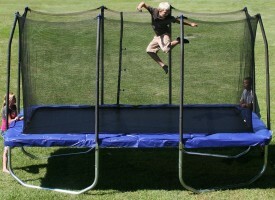 As size, and targeted group of users dictates quality of bounce, do not expect beating the “world highest jump” record! 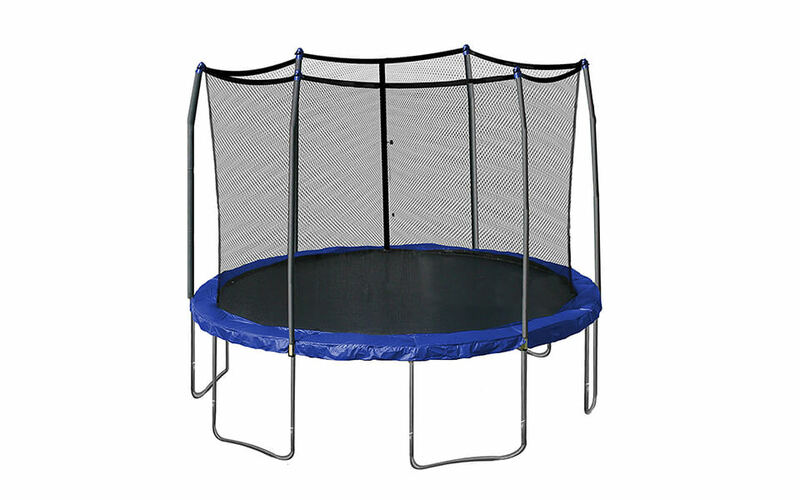 :) But still, with very affordable price this SkyWalker 8 ft. trampoline can be considered as great entry model. Check specs and full review! 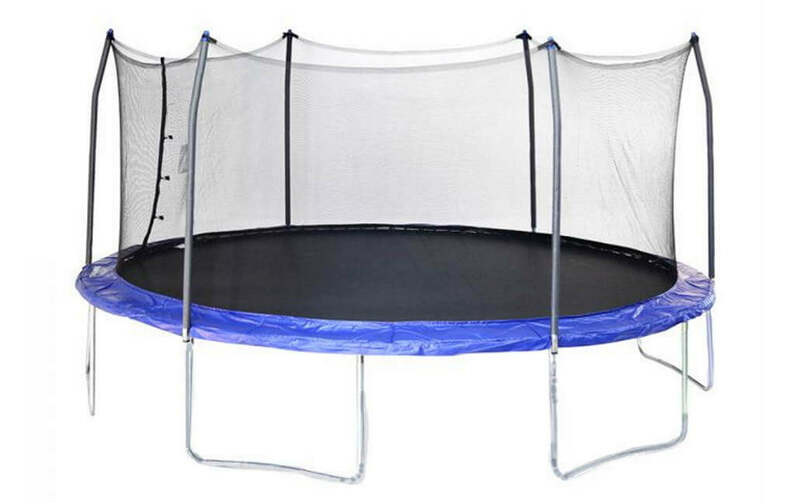 As on of the best rectangle trampoline we have high expectations. Did it`s specs made as happy? Read on!